Understaffed and bracing for a mass arrival of Central American migrants, a U.S. Border Patrol group is saluting President Donald Trump’s plan to send troops to the Mexican border. “It will increase the certainty of apprehensions and put a dent in cartel profits,” said Brandon Judd, president of the National Border Patrol Council. Noting that Presidents Clinton, Bush and Obama deployed National Guardsmen along the border at various times, Judd expects a seamless integration of duties. If past is prologue, troops would handle surveillance duties and free up Border Patrol agents to step up apprehensions. As a caravan of some 1,300 Honduran migrants makes its way north through Mexico, Trump challenged the Mexican government to stop the procession. Governors and the president both have the authority to send the National Guard to the border. George W. Bush deployed 6,000 troops from California to Texas in Operation Jump Start, which began in 2006. It was a successful operation, with the National Guard’s presence facilitating the apprehension of 2,296 illegal aliens, 14,000 pounds of marijuana, and 220 pounds of cocaine. Trump’s discussions Defense Secretary James Mattis suggest that regular military troops could be involved this time. As the domestic component of the U.S. Army, the National Guard’s job is to control and defend American territory. 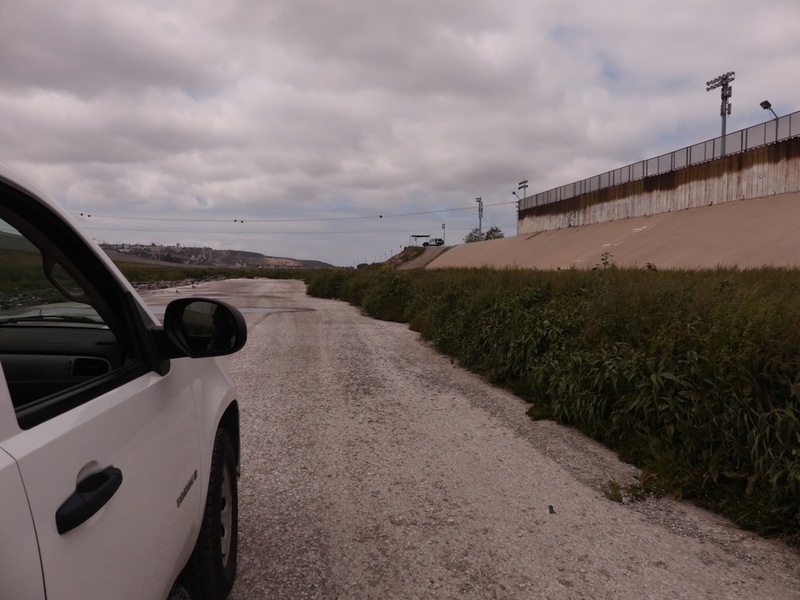 While they don’t perform immigration enforcement, their presence sends a message to people coming across who shouldn’t be — and would serve as a force multiplier to enable Border Patrol agents to do their job more effectively. If push comes to shove at the border, America’s illegal-immigration lobby, led by Democrats on Capitol Hill, will have to come clean: Do they support orchestrated incursions of our borders, or our troops? They can’t have it both ways. What I am most upset about with “troops on the border” is that: 1.) They were not ordered there on 01/20/2017 (the day of Trump’s inauguration! ), and 2.) that only “National Guard” troops are being used! WHY NOT MARINE AND ARMY RESERVISTS? (They are being paid for their annual “two-week trainings” anyway! WHY NOT SUPPORT CBP as part of their TRAINING!)? Yes, and arm them to the tee allow them to fire a burst of auto automatic gun fire over their heads and tell them there will be no entry ! They will change their minds and to hell with all this BS of that’s cruel, that’s inhuman or this or that damn excuse, wears taxpayers cannot afford to furnish these damn people with all the freebies that’s why they are coming to begin with Asylum my *** it’s the freebies and oh hell let’s go to America and make those dumbass’s let us in if we will force them, we will run over them I SAY ********, MAKE THEIR ***’S TURN AROUND AND GO BACK WITH THE WARNING OF WE ARE NOT GOING TO TAKE CARE OF YOURASS’S OUR TAXPAYERS HAVE HAD IT !!!! The Army Engineers can start on the border wall immediately. We don’t need permission from Crooked Hillary or Moonbeam. 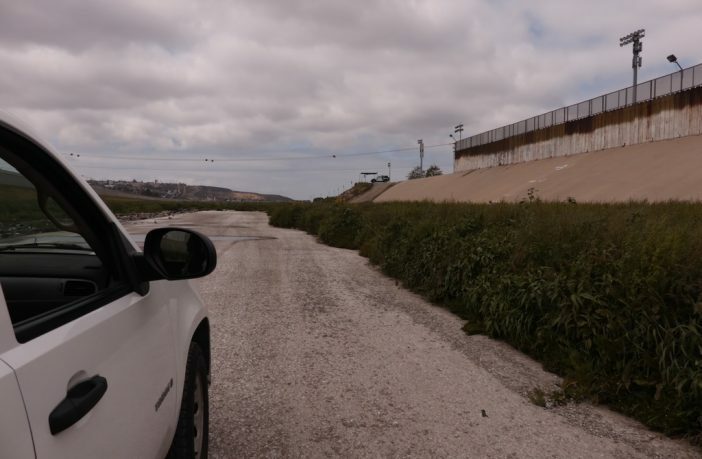 Secure not only south border San Diego areas, stop illegal human traffic crossing open land along Tecate, known walking path for years by smugglers with large groups, families and criminals and drugs. They trespass our land, are aggressive, making demands. Our area is gateway to San Diego city. Once there, they disappear. End this pathway. I witnessed 45 years with my neighbors. Border check stop 94 came few years ago has helped. Border agents take them back to border, they return few days later. We need protection and Border agents need more manpower. We have suffered in all areas. Honduras will surely cross our area. Amen to your take. I know the area well having lived in Tijuana for a few years. Crossed San Ysidro entry thousands of times. Took the bus alternative when the line was too long to Otay Mesa. And then there’s the horrendous border of the RINO senator(if you want to call him that) McCain. I know from personal on the scene experience that Arizona/s porous border might be the worst of all. Keep in mind, I have no personal exposure to the remaining border states but I can assure you criminals have been gaining access to these United States for eons via the Arizona border. It’s been a mess for the past two centuries, so those who debuke this claim have not visited and observed what has been taking place. I have no issue with the Mexicans, so throw that piece of Liberal crap out the window. What I can tell you is this. When I lived in TJ and my son was in a San Diego Hospital and I worked in security in LaJolla, I got zip in perks from the Mexican government. So don’t throw that kind of political garbage in my face. And what do you think happens to you in TJ if you violate their laws and/or rules? Did you answer jail? Guess what applies in Mexico is okay but if President Trump wants to enforce immigration laws, it’s racist. What a bunch of crap! I no longer live in and am around Orange County. What I can tell you is this. The once proud Orange County has been overrun by criminals(they are not aliens) who crossed the border illegally and are getting perks. Give me a break. It’s absolutely disgusting. Enforce the border. It’s has nothing to do with racist claims. Stay the hell out if you don’t apply the legal way! Thank you, President Trump, for having the courage and fortitude of putting troops on the Border to keep the Hondurans from crossing into the US. We have more than what we need of illegal immigrants already here, and it is taking jobs away from our own citizens. Please do it soon. These foreigners are traveling fast, and it won’t be long until they are at the crossing point. We are supporting millions of Mexican illegals now…our own poor and needy citizens are overlooked…we do not need another welfare seeking horde to take care of! We need to help our homeless and poor…. CITIZENS, NOT ILLEGALS. Brilliant! Thank you President Trump! Deploy the military until the Wall gets built! Seize the cash from drug cartels, as Senator Ted Cruz proposed, and El Chapo will pay for a lot of it. We cannot allow our nation to be over run by rats off their own sinking ship any longer.